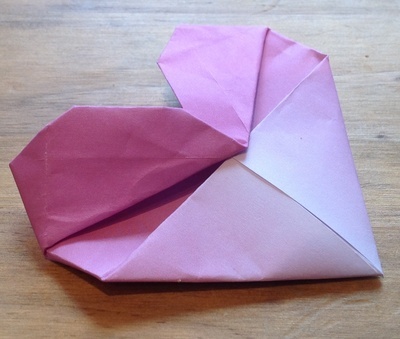 If your children are getting to the age where they want to start doing things for Valentine's Day, the perhaps they can make this pretty pink heart. You could also slip it into a gift bag at a party with a girly theme. If you make a lot of them and fix them together, then they work very well as the petals of a flower. 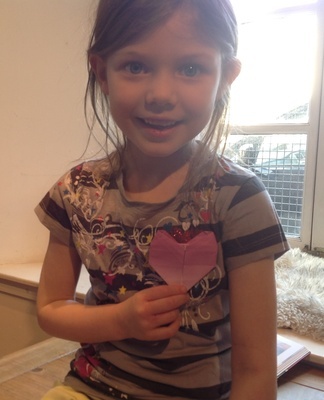 The finished article, a beautiful pink heart. 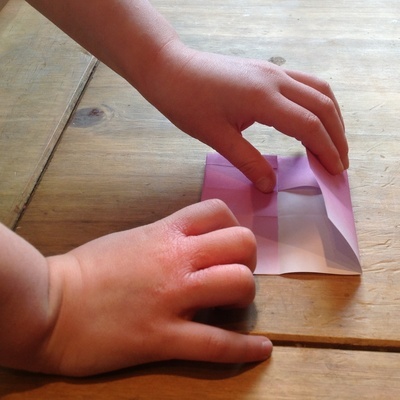 The square paper is cut into a rectangle. 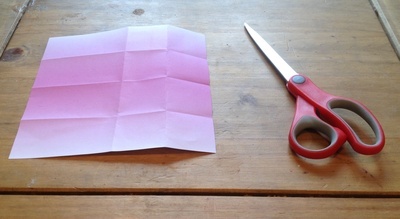 Take the square paper and cut the side off it to make it into a rectangle. Open the paper out again and turn it over. 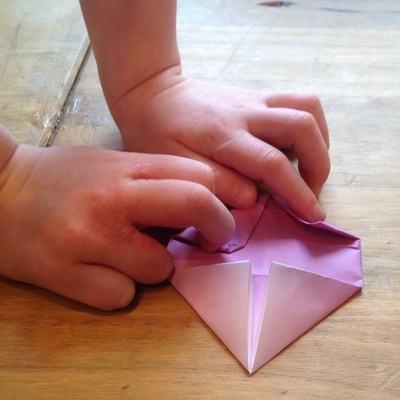 Fold the top edge down to the centre. 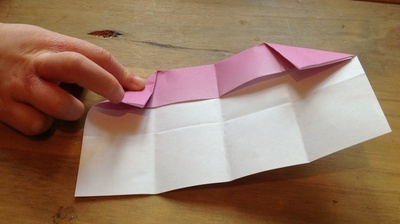 Keep the paper the same way round and fold the paper in half, taking the right edge over to meet the left. 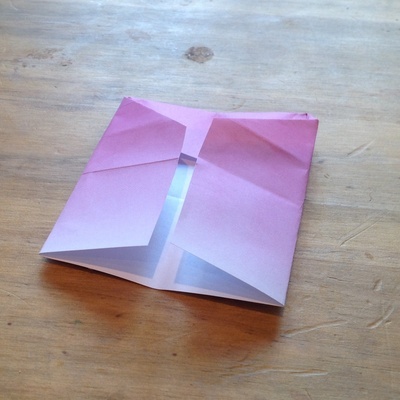 Open out again, and then fold both right and left edges in to meet in the middle. Open out so that you're back to just having the top edge folded to the middle. 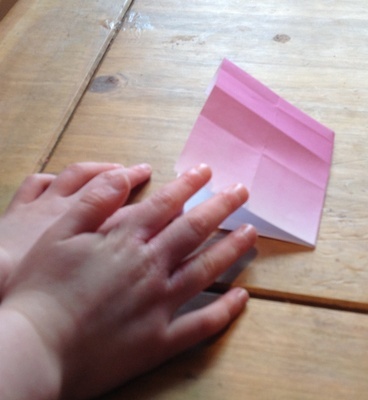 Then turn down the top corner at an angle, so that the top right corner just touches the middle crease. Repeat on the left hand side. 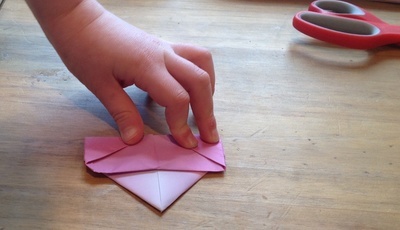 Fold both sides back into the middle. 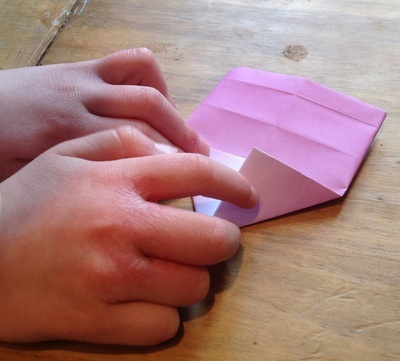 Turn the paper over and fold the bottom corners up to the centre line, so it looks like a triangle at the bottom. 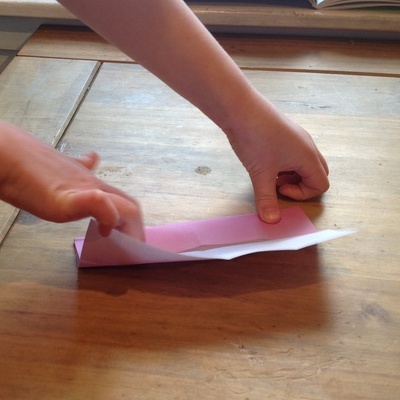 Fold down the top corners to make two creases at an angle. 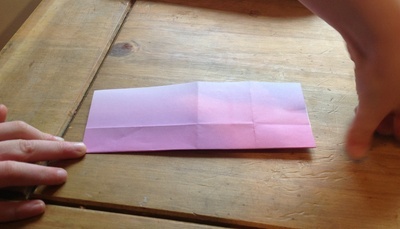 Fold the top corners back up so you are left with the creases and then fold forward the top of the paper. Spin the paper round counter-clockwise, 90 degrees. Open out the top pocket, and press the sheet flat. Do the same to the other flap, and then turn over. Now you have a beautiful little heart. Why not try it with other colours?